I know this seems counterintuitive, but until I know someone’s goals, any advice or recommendations I have seem useless. And I might not be recommending the best products based on the individual’s goals. So with that said, if you’re on a budget, here are the top five supplements I would recommend based on the following goals. Coming in at less than $30, this is a great option for those on a budget. 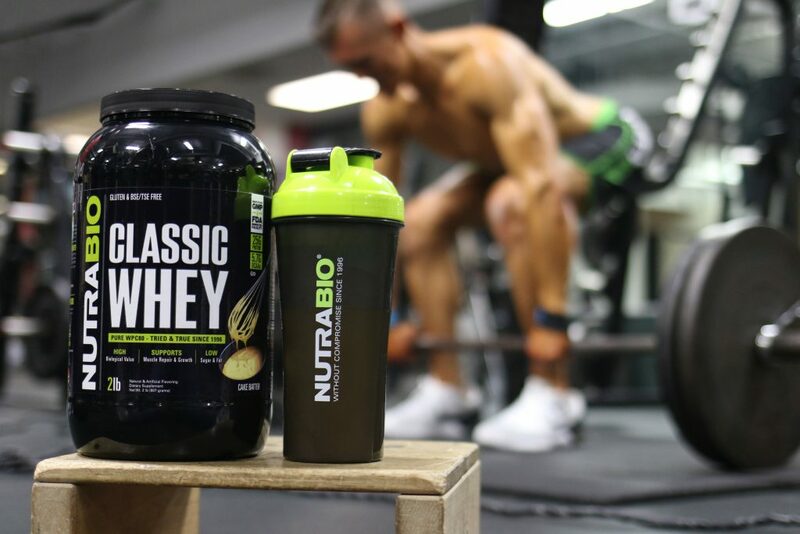 When dieting and training hard, protein will be a crucial nutrient to help retain muscle tissue and help with the recovery process after your training. It also makes a great on-the-go meal replacement that’s macro friendly. 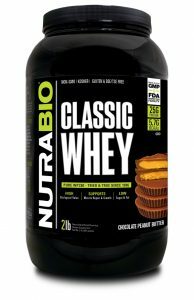 The great thing is that NutraBio Classic Whey has all punch of our isolate, but for a price that isn’t going to hurt your wallet. I’m a big fan of the chocolate peanut butter, personally. While dieting, getting in key nutrients can be tough. As diets get progressively more restricted we see the variety in our foods deplete. Having all the necessary vitamins and minerals to train hard and have energy will probably help you along the way. Personally, I take the recommended serving size and split it in half. Even a better idea if you’re on a budget. Not only are our joints important for our hard training but keeping our inflammation in the body down as a whole is as well. 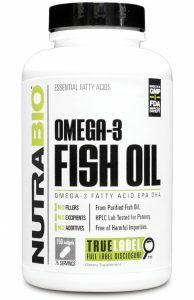 I recommend this supplement to everyone, as it’s tough to get enough omega 3’s for a good healthy omega 3-6 ratio with the way the Western diet is. From a health perspective, you should probably just be taking this in general. While dieting, I would suggest anywhere from 2-4 capsules per day, spread out throughout the day. One of the most common issues with dieting usually comes down to lack of energy. 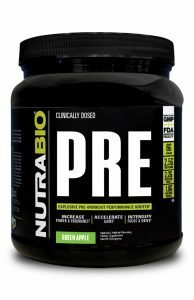 NutraBio’s PRE is the best pre-workout on the market, and it has zero calories to help aid your fat loss goals. Packed with caffeine, BCAA’s, and other amino acids, you’ll have great training sessions while getting some help in the recovery department as well. While dieting down, your sleep quality is bound to take a hit. 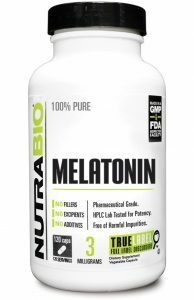 Supplementing with melatonin is an excellent cost effective route to ensure you’re getting good sleep to help aid your fat loss and ensure you keep your cortisol levels down. Depending how hard you’re having issues sleeping, take one to two capsules. This ends up bringing our total to $109.95 with ample room to spare for something else you might want to squeeze in. I’m sure this isn’t a surprise when you’re trying to pack on some size, but protein intake is going to be crucial to your muscle growth. You’ll want to be getting in about one gram of protein per pound, and a good quality protein supplement will help post workout. If you’re trying to put on some size, and certainly minimize fat gain, using some highly branched cyclic dextrin like Super Carb should without a doubt be in your budget stack. One serving comes in cheaper than a Gatorade, and the unique blend helps fuel your training sessions and let you get some awesome pumps as well. 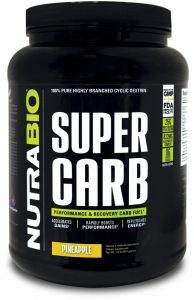 If you’ve not trained with Super Carb, you’re seriously missing out on some of the best training sessions of your life. I prefer the unflavored option so that I can mix it with other random things, but the pineapple is pretty damn good. Just as mentioned above in the fat loss, I think this is an important supplement across the board. Keep your joints feeling good, and your inflammation low so you can continue to train hard and keep adding weight to the bar. Getting in the essential minerals to help with sleep and proper balance for recovery purposes can be an issue when you’re trying to shovel down a lot of food. 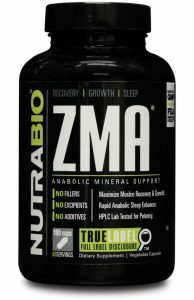 ZMA has been a staple with me for years, and I have some of the best sleep when I take this stuff. Better sleep and extra magnesium are going to help keep you recovered and sleeping like a baby. The gold standard for weight gain and strength, creatine monohydrate. 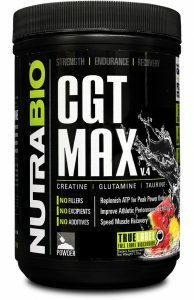 But I also like the addition of glutamine and taurine for added benefits like cellular hydration and preventing cramps, on top of having some great I just tend to toss a scoop of this in my post workout shake, but you can take it whenever works best for you. This has our total for this stack coming in at $112.95, with some room to spare if you want to try and add even one more little thing per month. This should certainly help aid your strength or hypertrophy goals with ease while leaving you some money to spare while trying to cram down food. While there is certainly no right or wrong way to go about stacking supplements together to get a good result, sometimes you’ve just got to stay within a budget. I’ve been there myself, so making good calculated decisions can help with your overall recovery. These are just what I recommend and seem to feel I get the most bang for my buck, while also looking what the research has to say about them. If you give one of them a try, let me know how they work out for you. 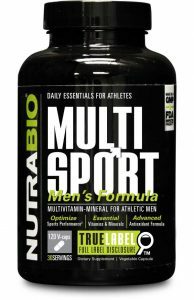 This entry was posted in Supplements, NutraBio Nation, Supplement & Meal Plans, Nutrition. Bookmark the permalink.